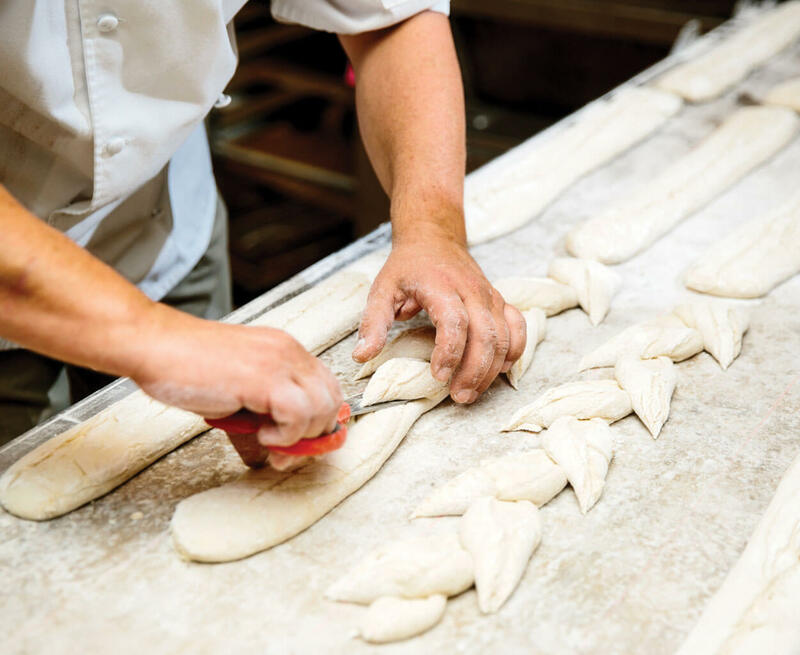 In an unassuming strip mall in Cary, an internationally acclaimed French baker transforms a little yeast, flour, and salt into delicious perfection. And he wants you to learn to do it, too. Really. Lionel Vatinet is asking if I bake bread, which seems to be a simple question but is, potentially, a terrible trap. If I believe the hype, this is the equivalent of McCartney asking if I write songs, or LeBron asking if I can drive the lane. And I do believe. 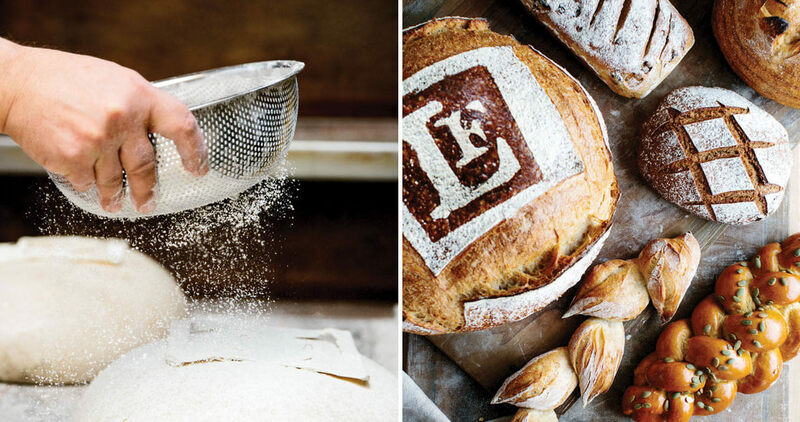 Vatinet is a legend in the bread world, a master who teaches hobbyists to be better bakers and coaches professionals — from Zabar’s, La Brea, Panera, and hundreds more around the world — to be extraordinary. Jacques Pépin called his 2013 book, A Passion for Bread, “remarkable,” praise that would seem hyperbolically silly applied to bread if Vatinet’s breads were not, in fact, remarkable: For years, a friend from New York has stopped at Vatinet’s La Farm Bakery in Cary before venturing to my house with a sack full of boules and batards and white-chocolate mini baguettes that somehow make me forget that I don’t even like white chocolate. This is a devastating critique. It’s not meant to be: Vatinet is a genial fellow, a natural teacher. He’s just French. He’s been in the United States for almost three decades, and he and his wife, Missy, opened La Farm 20 years ago. But he still has the accent. A French accent is gutting. But Vatinet is used to novices, which is to say he’s used to people who needlessly complicate a process that involves minimal ingredients and tools. We start with equipment, all of which he has on a wooden table behind La Farm’s counters: a scale, a thermometer, a scraper, and a stainless steel bowl. The bowl, I suspect, is the key, the catalyst for an alchemy my glass bowls can’t conjure. “Why steel?” I ask. I pinch awkwardly, slowly, downright laboriously. The flour does not appear to be my friend. My folding is worse: I lift too slowly, pull too hard. My quarter-turn is a half-turn with a full twist. Long minutes pass. “Who is the boss of the dough?” Vatinet asks. It’s a very generous sentiment. But, no, I am not the boss of my dough. He does the pinch thing five or six times, then begins folding the dough onto itself, end up and over, quarter-turn, up and over, turn. His shaggy mix of flour and water has transmogrified into a ball, smooth and taut and barely tacky, which he shows me how to check with the back of my hand. This entire process has taken approximately six minutes. Eight, tops. There was a time, possibly, when Vatinet was not the boss of his dough, either. But that would have been decades ago, when he was a teenager in France. At 16, he knew that continuing to university would not be the best use of his time — “for me,” he says, “school was a playground” — so he sampled the trades. A few days of plumbing, a couple with an electrician, a mechanic. None of those really appealed. “Then, one day, I walked into a neighborhood bakery,” he says, “and something happened.” What, he can’t quite name, because, really, how does one deconstruct an epiphany? The only visceral memory is the smell, which is as good a reason as any. Not long after, he was accepted into Les Compagnons du Devoir, an ancient guild of master craftsmen, the guiding philosophy of which is that the old teach the young in an endless chain, traditions and techniques passed on through centuries. (The baking tranche of the guild dates only to the 1600s, making it a relative latecomer.) For seven years, Vatinet baked with the master bakers until he himself was anointed a maître boulanger. 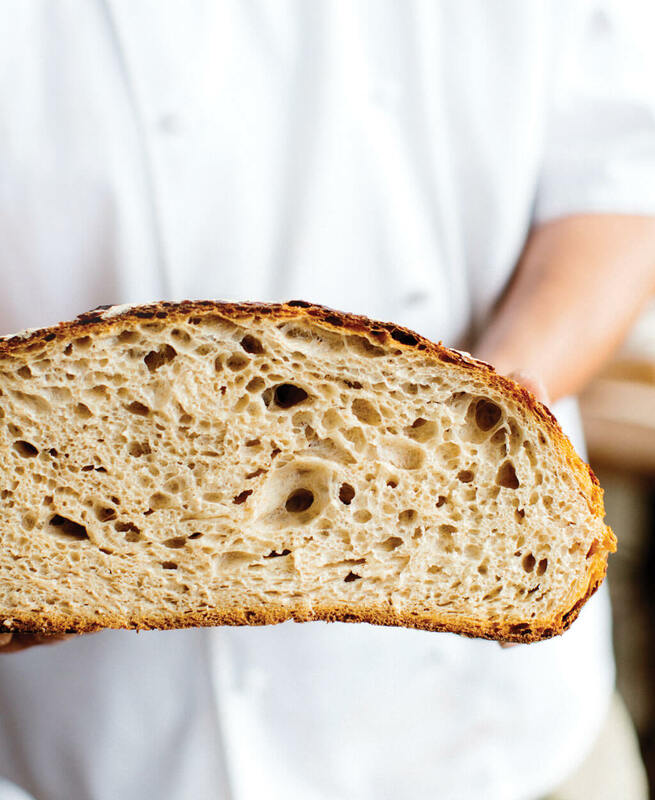 His masterpiece — the guild equivalent of a doctoral thesis — was a five-pound boule, which he still bakes every day as his signature La Farm bread. He traveled after his training, and Mexico, Washington, D.C. and Vancouver, Atlanta and Fort Collins. 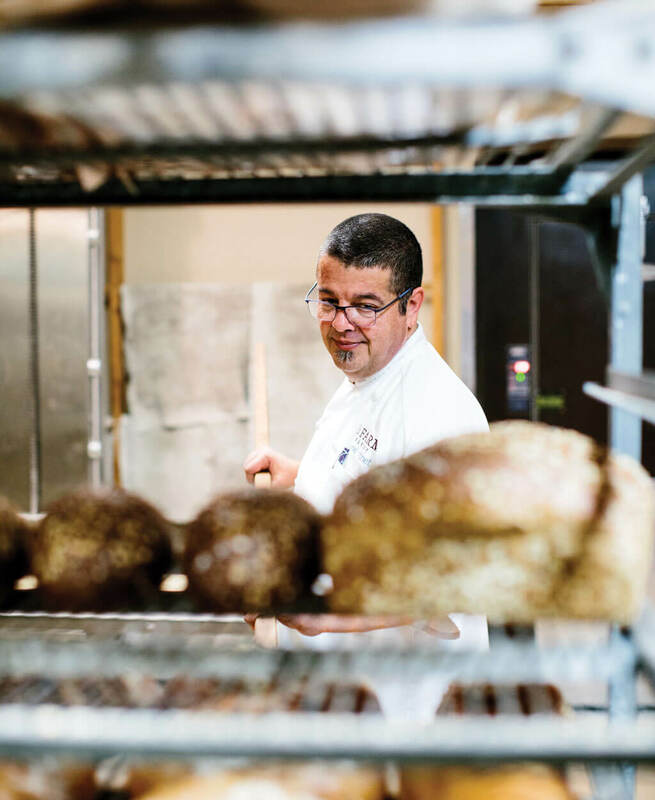 In 1996, he joined the new San Francisco Baking Institute, helping develop the curriculum. A year later, at a trade show in Chicago, he met Missy. They opened their own bakery two years later in Cary, which at first blush seems an odd choice for a French master with an international reputation for artisanal bread. But Missy, the entrepreneurial half of their partnership, grew up in Roanoke, Virginia, and she remembered the demographics of the area from when her uncle worked for IBM: educated, relatively affluent, with a fair number of international transplants who would be used to bread as a daily commodity, as opposed to a factory loaf. The couple took over an old birdseed store, 2,000 square feet of retail only, and quickly developed a following for their exquisite breads — nine varieties including cinnamon rolls. Ten years later, they expanded into the dry cleaner next door and opened a café, then expanded some more into an old ABC Store in 2017. I’m having problems. Vatinet sent me home with our dough in plastic bags and told me to leave them in the refrigerator, then shape and bake them in the morning. Except they won’t shape. He’d shown me how to form a boule, the most basic round loaf, but I’ve struggled to get a cohesive lump. The mild tack of yesterday has been replaced by a tenacious stickiness. I abandon the boule, open the second bag, cut it into eight pieces to form rolls, which he’d also demonstrated. Thumb and forefinger on the work surface, no downward pressure, swirl beneath the palm into a tight, satiny globe. I swirl. Small, sticky lumps. The dough must be flawed. Maybe it’s too cold? Or the refrigerator wasn’t cold enough and it over-proofed? I decide to start from scratch, use the most basic recipe from A Passion for Bread, and try to remember what Vatinet taught me. I weigh my ingredients for his Country French Bread — the flour, yeast, and salt — and then I warm my water to just over 82 degrees. I commence to mixing and scraping. Something is wrong: My dough is distressingly dry. It flops onto my cutting board with a small puff of flour. I arrange my hands into Vatinet’s awkward pinching position, crab through the mass once, turn, repeat. My dry mass comes together quickly. I’m pleasantly surprised. But then a third time through and it’s suddenly unworkably wet. Ah, the semicolon, the least confident of all the punctuation marks. But I remember what Vatinet said — no, insisted — the day before: Who is the boss of the dough? I fold, scrape, lift, turn, repeat. The results are unimpressive. Again. And again. By the fifth time through, it’s beginning to hold a shape. By the 10th, it’s roughly a ball. I give it three more folds for good measure, then take its temperature: 76.4 degrees, right in the middle of the specified 72 to 80 degrees. I put it in a glass bowl and it doubles in size in an hour, as prophesied on page 77. I turn it out, gently press it into a rectangle, then backtrack to page 56, where shaping a boule is illustrated in photos. I follow them precisely. My dough is in a tight ball. I am the boss of my dough. I slash a quick hash mark on the top, opening slits in my surprisingly round loaf, then slide it onto a hot baking stone in the oven. Normally, I’d throw a half cup of water into a sizzling pan on the lowest rack to create steam; also, normally, I would have used twice as much yeast and let the mixer knead until I guessed it had gone on long enough, so I’m skipping normal. Instead, I use what Vatinet claims is a foolproof technique for home ovens: a steel bowl inverted over the loaf, a dome to hold in moisture for the first 10 minutes of baking. A half-hour later, the interior of the hash mark is golden brown, a signal, Vatinet says, that the bread is done. I check the temperature just in case: 210 degrees. Perfect. It is, in fact, the most perfect loaf of bread I have ever baked. Assuming this is a complete fluke, I mix another batch of dough and form rolls. Then another for a batard. Then a baguette I over-proofed, which is a triumph in itself that I know it was over-proofed. Another boule. Focaccia with herbs and salt! Finally, those white-chocolate mini baguettes. “I have no secrets,” Vatinet writes in his book. 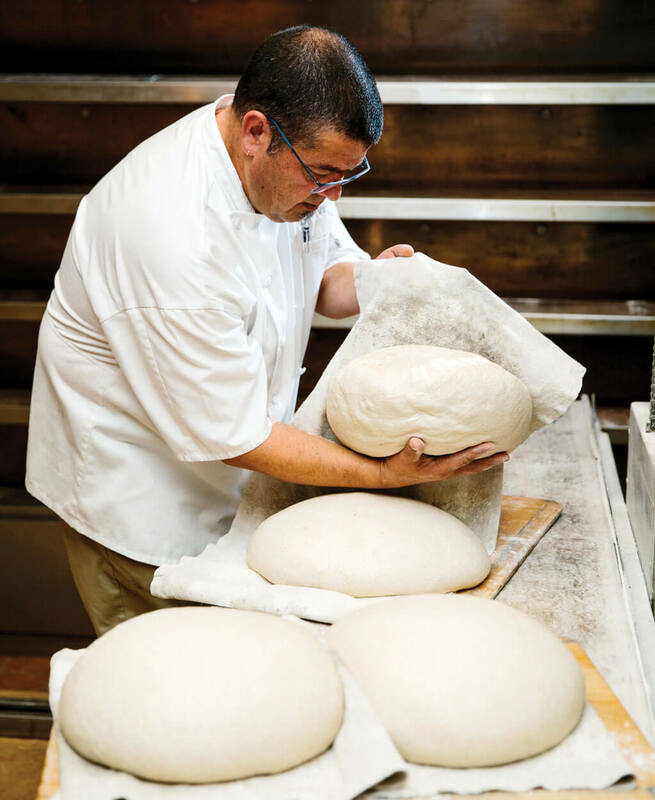 “My goal as a baker has been to demystify baking for professional and home bakers, and to mentor as many as I can so that everyone can enjoy high-quality, hand-crafted breads.” All of which he accomplished with me in two hours and one remarkable book. At first I’m astonished, then giddy, then confident. Six days after I clumsily pinched through dough in the back of La Farm, I’m in the kitchen with my son Emmett. He’s 11. I show him how to pinch, how to fold and scrape, how to form a roll. He’s a quicker learner than I am, and his first creations are soon on the Thanksgiving table, golden and round. There is no mystery anymore, but still, it seems magical. Sean Flynn is a correspondent for GQ magazine. He lives in Durham.